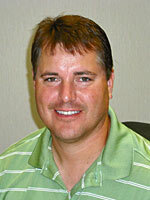 Howard Kathol is a Commodity Broker for Midwest Market Solutions. Howard grew up in Yankton, South Dakota; later graduating from Northwest Iowa Community College in Sheldon, Iowa. Howard began his farming career in 1990 and is currently producing 1,600 acres of corn, soybeans, and alfalfa in the Gayville, South Dakota area. He is married and has four children.